Today is September 12th, 2012. I know you all know that, but I have a purpose in mentioning it. It is the day after September 11th, a date that will forever be known in the United States as the anniversary of a horrible tragedy. Do you remember where you were when you first heard the news? I do. I was sitting in Religion class back when I went to a catholic high school. One of the sisters came on the announcer and told us all to gather in the cafeteria where we all sat in silence watching the news. This post is not about who did it, or who caused the pain. It is not about the war and whether it is right or wrong. 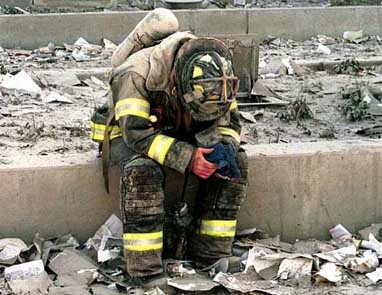 This post is about remembering the people who died that day, and those who saved many. Yesterday began as any other day for me. I woke up, grumbled about having to work, then began my day. I spent almost two hours of my morning stuck in traffic, complaining about how much I hated Interstate 495. It was a hectic morning with an easy afternoon. I decided to hop on facebook and browse until my lunch break ended. What I saw both inspired me, and broke my heart. Pictures upon pictures of 9/11 paraded through my news food. Inspiration pictures with the common quote of Never Forget blazing across the top. I had truly forgotten that it was even September 11th. That unsettled me. I had been so caught up with school, this website, planning for my wedding that happens in a month, and even grieving over the fact that a blog I enjoy will be shutting down. Selfishly, I had forgotten an important day, a day we are supposed to remember. I thought of posting something on my facebook to show my support of the heroes that emerged that fateful day, but something changed my mind. On posts that other people had made, we saw comments from people who are only created to hurt. People were accusing the government of orchestrating the entire thing; other people were claiming that Americans deserved it. People can have their beliefs, I do support that. You are entitled to think what you want. What infuriated me so was that people who were posting prayers to the families that lost someone, others were attacking our government in the comments. September 11th is not about the government. It is about people. People whose lives were taken, people who gave their lives to save others, and people who went above and beyond simply to help. This one day is not about blame, or about war, or even about terrorism. It is about the loss of life, and a country coming together to support its people. Perhaps that is my naive take on it. I don’t understand why people feel the need to seek out others, and hurt them with their words. Let people grieve and remember in peace, without fear of verbal attacks. 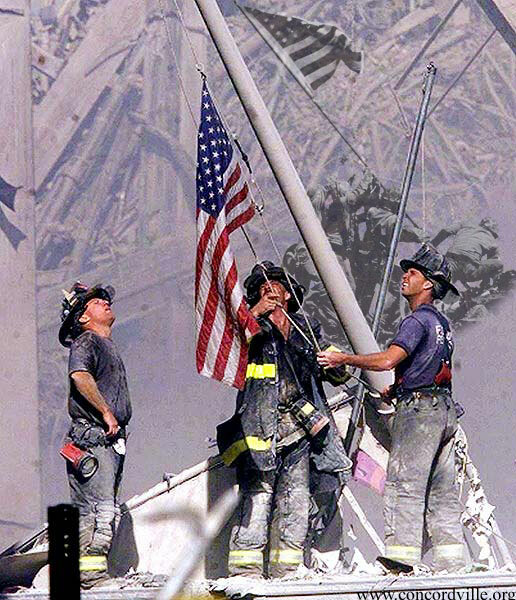 That day was filled with heroes, people we should remember and respect. Focus not on your beliefs of why it happened, but instead focus on healing the wounds that it created. As I drove home from work, my mind was heavy with these thoughts. How can people not honor the heroes? How can we forget everything that people did for each other that day, and each day for the months that followed? An idea that had been mulling around my head weeks before, when I had remembered that 9/11 was approaching, resurfaced with vengeance. I was going to show my appreciation, even in some small insignificant way. Yesterday, my two-year old daughter and I brought a tray of cookies, bakery bought since I am awful at baking, to our local Fire Station and Police Department. Trust me when I say if I had tried to bake them myself, my town would be out a few officers and firemen due to food poisoning. I truly am that bad. On the top of the tray was a big pink thank you card decorated in purple, red, blue and green scribbles with the sprawling words, Thank you for all that you do! It was a small gesture, but one that the officers and firemen at our local station loved. It is a simple gesture, but simple gestures sometimes go the farthest. What did you do to commemorate 9/11?